Here's one of the most famous Star Wars kisses, when Han Solo and Princess Leia kiss in the underground rebel base on the ice planet Hoth. 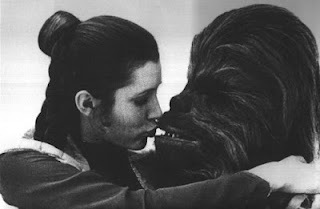 She kissed him and everything, but she made it clear along the way that she would rather kiss a wookie. Awww, here she's getting a kiss from Lando Calrissian. Okay, okay, that's enough. Oh yeah, here's a famous moment, too, where Leia passionately kisses her brother to make her future boyfriend jealous. So jealous. Basically, the point is that I'm not sure there are enough women to go around in the Star Wars universe. But I'm sure Lucas can change it and update it in the next version of Star Wars. I hear there are a lot of changes coming, which should be fun! Wait, she wanted to kiss a rookie? 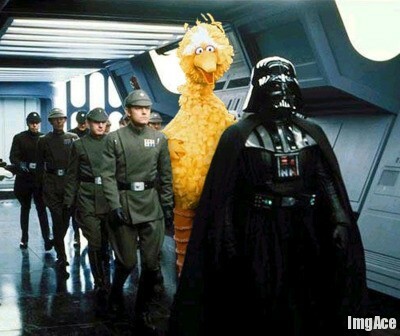 A rookie Wookie? How soon do rookie Wookies become experienced veterans at it? Argh. Auto-correct kept changing wookie to rookie. It defeated me at the last. I've updated it! 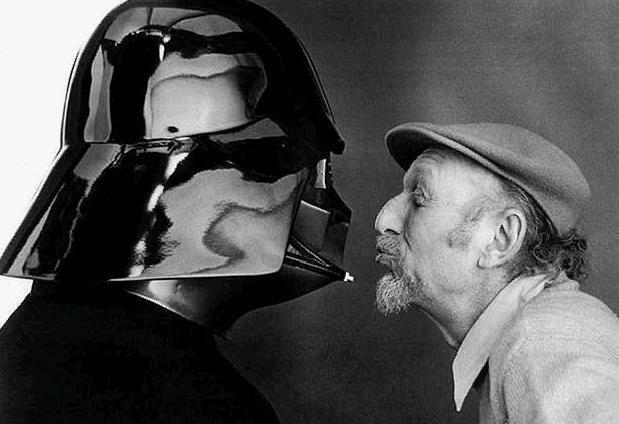 I LOVE the kiss between Princess Leia and Hans Solo . . .
She appears to be enjoying it as well!